It’s difficult to imagine modern life without GPS — we use it for everything from personal and in-car navigation, to drones and self-driving cars. Sometimes, however, a GPS signal might not be available due to factors such as tall buildings, lack of signal, or deliberate jamming by a third party. Now, British researchers at Imperial College London (ICL) have presented an alternative to the time-honored GPS, a quantum “compass” that can pinpoint its location on the globe without having to rely on satellites or any other external reference. 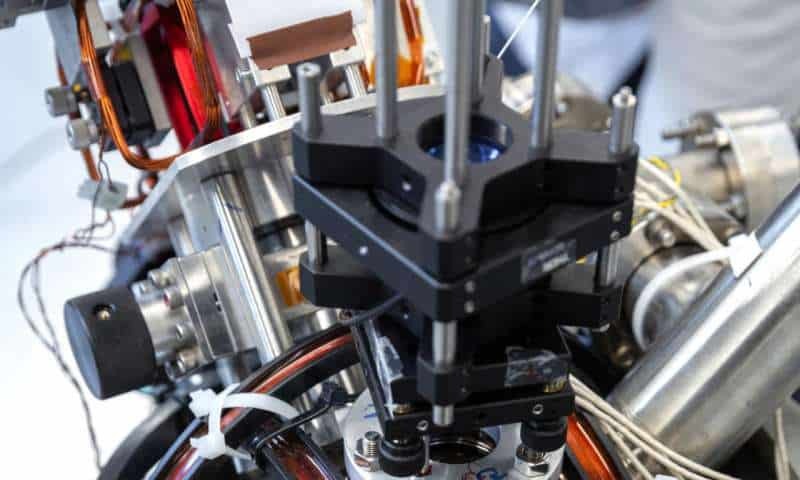 The remarkable device was recently unveiled at the National Quantum Technologies Showcase, an event dedicated to presenting the technical progress achieved by projects funded by the UK National Quantum Technologies Programme, worth £270m. The researchers who built the device call it a “standalone quantum accelerometer”. Today, accelerometers are commonly embedded in all sorts of common technologies, including airbags or your phone. As the name implies, accelerometers are electromechanical devices that sense either static or dynamic forces of acceleration to keep track of the movement and orientation. Using an accelerometer, it’s easy to determine the position of an object knowing its original position and velocity. However, over time, a regular accelerometer loses precision without an external reference, such as a GPS signal, to calibrate it. This new quantum accelerometer doesn’t have this problem, being able to accurately measure its position without any external reference. It is, for all intents and purposes, self-contained. What sets the ICL technology apart from other accelerometers is that it measures the properties of supercooled atoms. Close to absolute zero, the movement of atoms starts exhibiting quantum behavior, acting as both particles and waves. Because the wave properties are affected by acceleration, an ‘optical ruler’ can measure extremely minute changes with accuracy. The atoms are both cooled and measured by a laser system. “When the atoms are ultra-cold we have to use quantum mechanics to describe how they move, and this allows us to make what we call an atom interferometer,” Dr. Joseph Cotter, from the Centre for Cold Matter at Imperial, said in a statement. 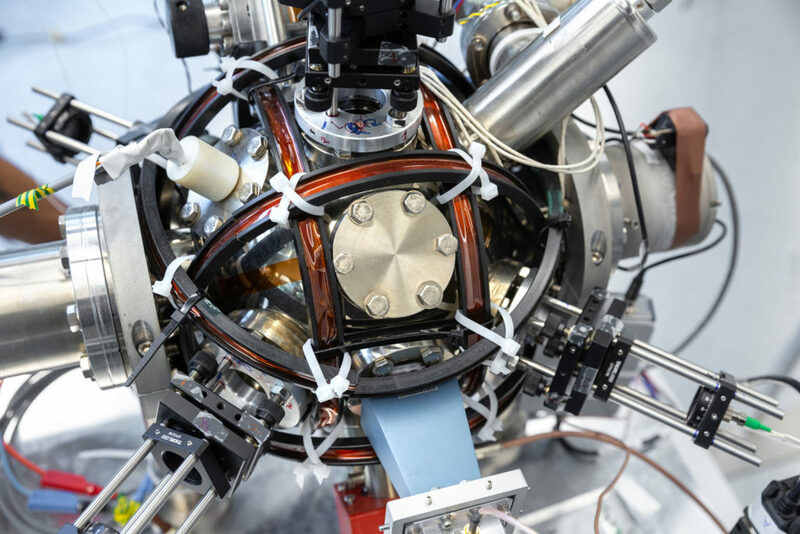 As it stands today, the quantum compass is far too large to fit inside a phone, but it could prove useful for the navigation of ships or trains. However, since the principles are the same, the device could also be suitable for research in fundamental science such as the search for dark energy or detecting gravitational waves. Military applications will also find quantum compasses incredibly appealing since a nuclear submarine or airplane can now precisely track its position without having to rely on GPS, whose signal is both detectable and jammable. Having an alternative to GPS will certainly come in handy. According to an estimate, if the satellite network was denied for a single day, the UK would stand to lose about a million pounds. This is just the beginning, though — we should all expect more interesting things to come out of such a technology. “I think it’s tremendously exciting that this quantum technology is now moving out of the basic science lab and being applied to problems in the wider world, all from the fantastic sensitivity and reliability that you can only get from these quantum systems,” Professor Ed Hinds, from the Centre for Cold Matter at Imperial, said in a statement. The results are promising, but are still in an early stage, and have not been peer-reviewed. It remains to be seen whether the results really stand true, and whether the technology could be incorporated into practical situations. At least for now, the jury is still out on this one.